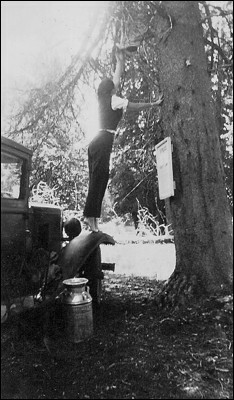 Here's my mother, Fredene Ama Daugherty, setting up the family camp at Diamond Lake in southern Oregon. This was on June 6, 1937. Mom was 15 years old.